Wondering how to fit in & stand out? Learn the 4 key tips to help you fit in & stand out with this guide! 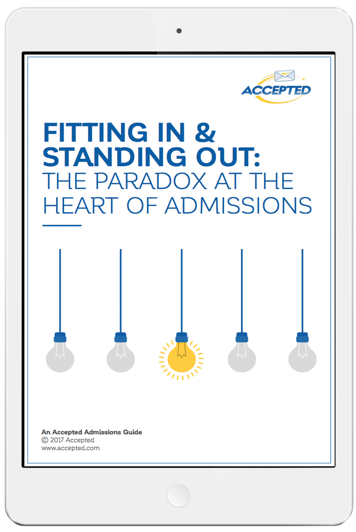 How are you planning to simultaneously fit in and stand out during the admissions process? In the competitive application process, simply “fitting in” is not enough – you must distinguish yourself and show that you’re more than a number. On the other hand, if all you do is “stand out,” the program may have qualms about your ability to do the work or participate constructively in its community and your chosen profession. Download the Guide Now and Learn How You Can Stand Out and Fit In!